Home / Acne Products / Is Your Skin Care Routine Safe For Your Baby? Find Out Now! Just because you’re pregnant, doesn’t mean you have to stop looking good! Pregnancy is one of the most exciting times in any woman’s life, and naturally, you want to look your best at all times. At Dr. Longwill Skin Care we will provide you with the best Pregnancy Skin Care tips that will keep your baby safe too! Pregnancy causes hormonal changes in the body, which can lead to your skin becoming drier and more pimply. Stretch marks are also a common occurrence during pregnancy, and many expecting mothers use creams to lessen the effects. Our team can show you the best products to use for your Pregnancy Skin Care routine. If you’ve been wondering what kind of Pregnancy Skin Care routine you should follow, here are some tips that our team has! Sun Protection: While protecting your skin from the sun is always essential, during pregnancy, hormone imbalances cause pigment cells to multiply which can lead to discoloration. Using a moisturizer with sun protection properties will have provided enormous benefits for your skin and make you glow even more during your pregnancy! Moisturize: Moisturizing is even more critical during pregnancy than usual. As you progress during your pregnancy, skin is stretching which can leave you feeling uncomfortable and itchy. Our Antioxidant Moisturizing Cleanser uses natural ingredients such as green tea extract to gently moisturize your skin and improve the overall health of your skin cells. Acne: If your skin is prone to breaking out, being pregnant will not do it any favors. It’s best to avoid products with harsh chemicals which is why our Green Tea Serum is a popular choice to fight breakouts. Made with green tea and hyaluronic acid, it will compete against acne while giving your skin the healing benefits of these ingredients. 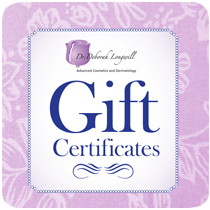 Dr. Deborah Longwill has over 20 years of cosmetic and medical dermatology experience, making her the must-see doctor in South Florida for all of your skin care needs. She always keeps up with the newest developments and technologies in dermatology, so her patients will always have access to the best treatments and products. Even if you don’t know your skin type or haven’t taken good care of your skin in the past, Dr. Longwill and her team will be happy to consult with you about our different products and treatments. If you have any questions about Pregnancy Skin Care, we’re the best around to ask! At Dr. Longwill Skin Care, our Pregnancy Skin Care products and tips will make you look better than ever while you carry your child! If you’ve been pregnant before and didn’t like how your skin looked, we’re here to help! With the best products and professionals, you can’t go wrong. Make an appointment with one of our professionals to see which products will be most useful for your Pregnancy Skin Care routine. Learn more by calling to make an appointment with us today at (305) 279-7546 or click here to browse our products online!